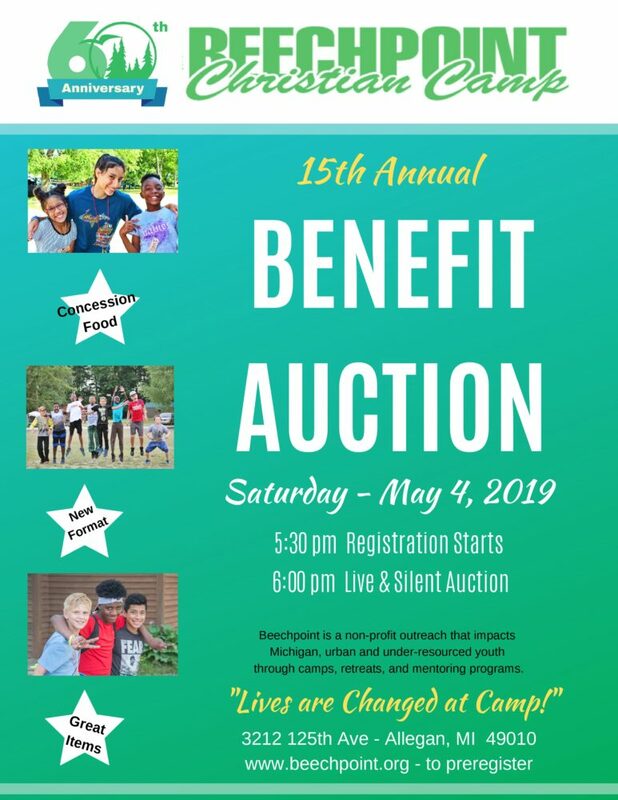 Join Camp Beechpoint for their Annual Benefit Auction on Saturday, May 4. This fundraiser is Beechpoint’s biggest, yearly event and helps meet the need of providing scholarships to 90% of its campers. Beechpoint’s mission is to provide urban and under-resourced youth with a quality Christian Camp experience where each child learns mentally, physically, socially and spiritually…helping them to grow up in all ways to become more like Christ. Be part of this fundraiser. Because of the generosity and involvement of people like you over the years, Camp Beechpont is celebrating its 60th year. This event and the ministry can only succeed with the help of many hands and loving hearts that are dedicated to reaching youth with the gospel of Jesus Christ. Click for Sponsorship & Donation Opportunities.